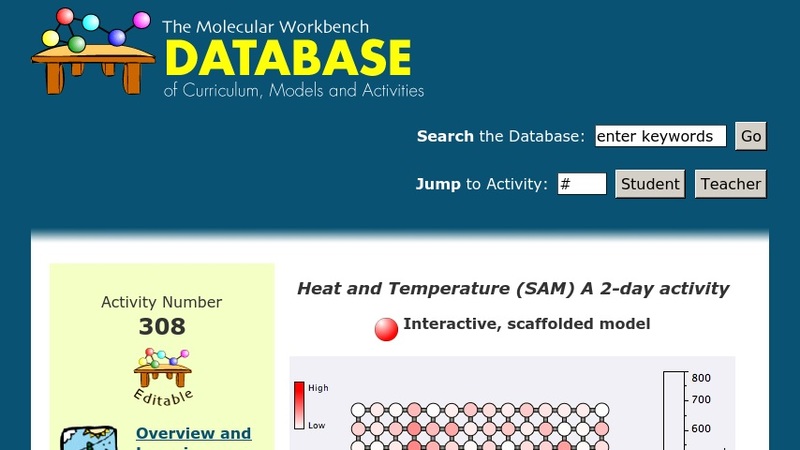 This inquiry-based module explores the difference between heat and temperature in an engaging interactive format that includes 12 computer models. Students learn that temperature is a measure of kinetic energy and heat is the transfer of energy from hot systems to cooler ones. The simulations help students visualize that temperature is related to both speed and mass of atoms. Three models promote understanding of average kinetic energy, and its dependence upon changes in heat. This item is part of the Concord Consortium, a nonprofit research and development organization dedicated to transforming education through technology.